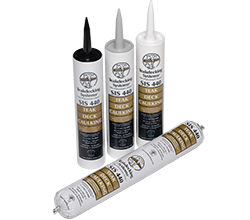 Teakdecking Systems Deck Sealant is a one-part, paste-like neutral cure system which, when exposed to moisture in the air, reacts to form a tough, flexible, solid rubber compound. The sealant is a thixotropic material, which does not sag during cure, and, when cured, has excellent temperature stability and chemical resistance. Because the sealant is neutral cure, it is non-corrosive to all substrates. 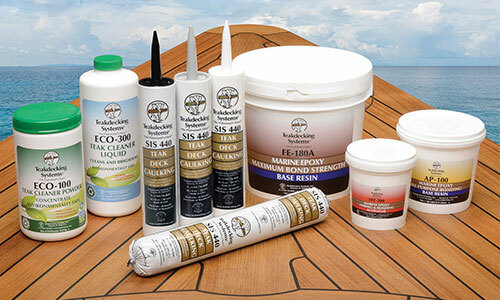 Teakdecking Systems Teak Caulking is available in black, white, or gray. 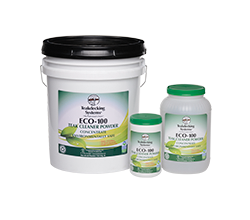 ECO-100 Teak Cleaner Powder is a new high performance, concentrated teak cleaner. Even though ECO-100 Teak Cleaner Powder contains no acid, caustic sodas or phosphates, it is a very powerful and effective cleaner that cleans and brightens without removing the soft fibers of your teak. It mixes easily in water. This product has been formulated to be 100% environmentally-friendly and represents the most advanced truly “green” teak cleaner powder in the marine industry today. 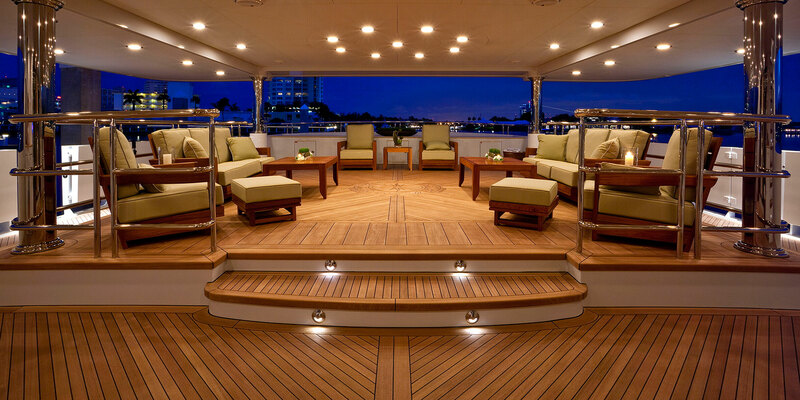 Teakdecking Systems FFE-200 Fitting Epoxy is a custom blended flexible mastic of high quality epoxy resins and activators and engineered fillers to yield a light weight, flexible and easily-sanded system used for both fairing of deck substrates and the final glue-down of deck panels. FFE-200 weighs only 6 pounds per gallon when cured and its cell-like structure makes it an excellent sound and thermal insulator. The viscosity of the FFE-200 is formulated to be high enough to stay in place when used for fairing, but low enough to provide excellent wet-out for bonding. 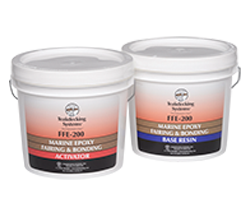 The FFE-200 Fitting & Fairing Epoxy will cure in temperatures as low as 45° F or 7°C. Teakdecking Systems Reefing Hooks for removing caulk or other flexible materials from a seam. Teak Decking Systems Seam Sanders for sanding seam sides before caulking the seams. 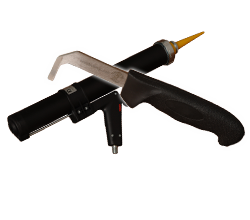 Sausage Caulking Guns for re-caulking using caulk sausages. Bond Breaker Tape for seam prep when re-caulking. Cleaning Kits for cleaning your decks.